LAFAYETTE, Ind. 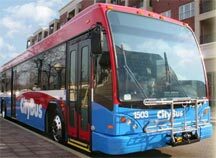 — CityBus announces service and route modifications in effect during Purdue University’s Spring Break, beginning at 6:00p on Friday, March 13. Specifically, Campus Loops will not operate beginning at 6:00pm on Friday March 13th, including no evening Gold Loop, Black Loop, Tower Acres, or NightRider service. Campus Loop service resumes on Monday, March 23. Trolleys will follow the Black Line route during this time. 8 Klondike Express will not operate. 4B Purdue West/Klondike will detour through Purdue Village when inbound, bypassing stops on State St. between Airport Rd. and S. Martin Jischke. 5 Happy Hollow will operate with mid-day reductions, see schedule.